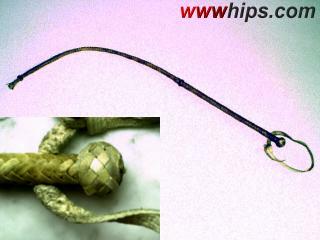 Another Argentine riding whip, flexible rawhide thong with stiffened hand part. 12 plait braiding, with turk´s head knob and whitehide wrist loop. The impact is extreme.